Employers across the Asia Pacific region are expected to hand out pay rises of 7% in 2015. While these are comparable to last year, they mean more in real terms, owing to lower inflation rates in the region’s 19 countries in the past year. Taking inflation into account, average salaries in real terms are set to rise 4.3% this year, compared to 3.3% last year, found Towers Watson’s new regional report. Within East Asia, mainland China will offer the highest raises in real terms (7.4%), while employees in Hong Kong will see the smallest in real terms (1.3%) – although the overall increase is pegged at 4.5%. 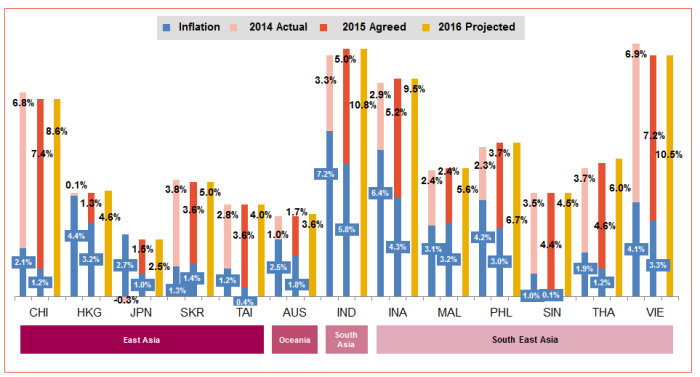 This play on inflation rates will mean that even though employers in Hong Kong and Singapore both are set to give overall increases of 4.5%, Singaporean employees will see far more of that increase. In real terms, salaries will rise 1.3% and 4.4% respectively. Sambhav Rakyan, data services practice leader, Asia Pacific at Towers Watson, explained, “The Singapore government has been sticking to a tight monetary policy to keep the lid on inflation. 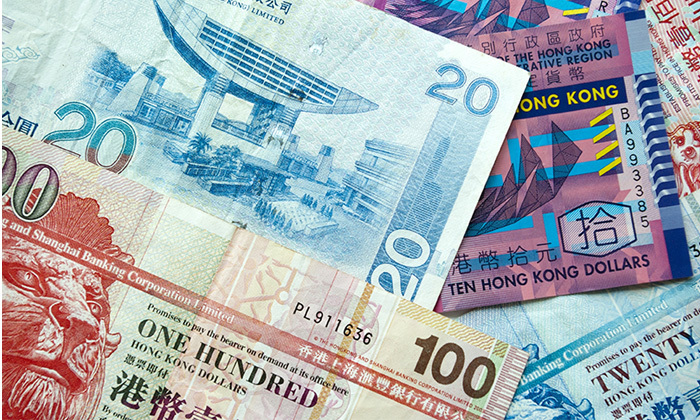 Accordingly, salary increase budgets for 2016 in Hong Kong and Singapore are forecast to rise 4.6% and 4.5% respectively. Overall, in APAC, 2016 is likely to see nominal salary increases dipping slightly to 6.7%. Across all industries, close to 80% of respondents said they plan to allocate a larger portion of their salary budget to high performers – especially in the three core industries of financial services, technology and healthcare/pharmaceutical. However, he pointed out the greatest rewards will go to the top performers, who are seeing salary increases of approximately 1.5 times that of average performers. Good performance is rewarded even more strongly in markets where overall salary increases tend to be higher. In India, increases for the highest-performing employees average 12%, nearly twice the regional average. Yesterday, we found Singapore’s rudest boss. Today, we share more stories about some really idiotic bosses, and the dumb things th.. In 2018, the Minister of Human Resources YB M Kula Segaran requested all liable employers to register with HRDF. Find out if you a..